After last week’s nausea inducing episodes it was good to get back to some good ole fashion singing on American Idol tonight. Hollywood Week is quickly coming to an end as we get closer to another year in Vegas and one step closer to the live shows (my fav)! 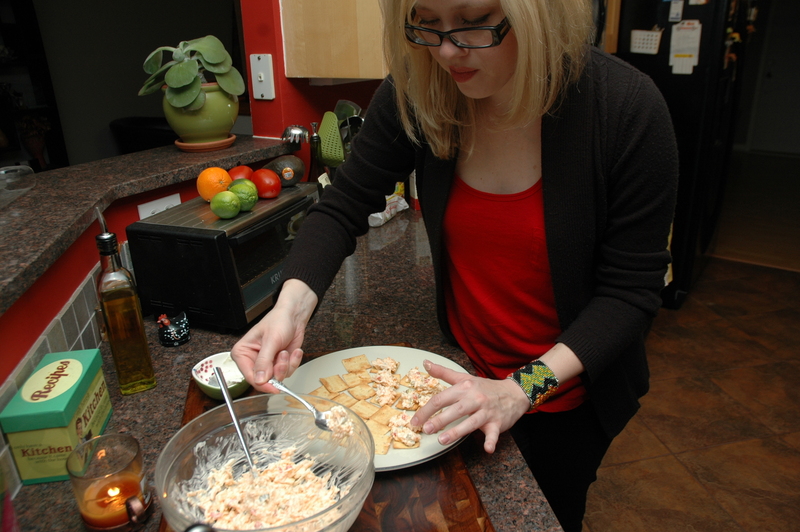 Every week I’ll be cooking up plenty of snacks for your Idol viewing pleasure and for Yahoo! Music blogger Lyndsey Parker’s Reality Rocks blog (sorry that was a mouthful). So while everyone is getting their appetites back from last week I thought I’d whip up a delicious and incredibly simple appetizer. Give it a try…it’s stick to your ribs good! Check out my feature on Reality Rocks HERE! 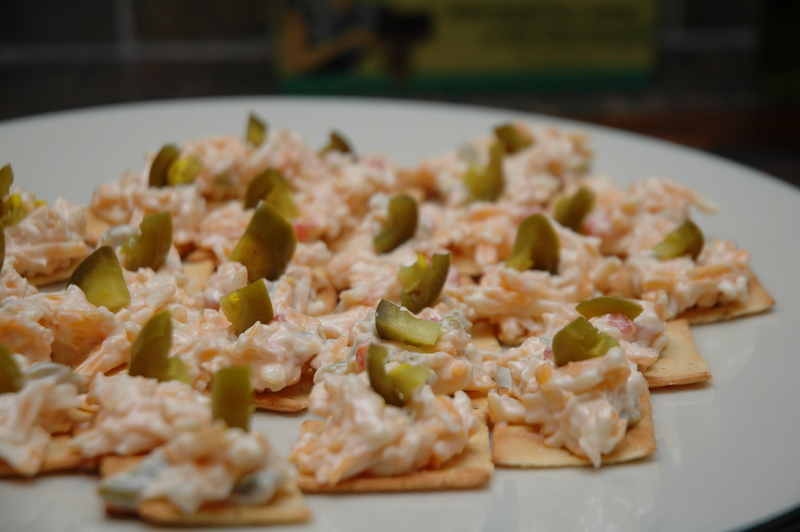 your favorite crackers *I used cracked pepper lentil crackers – delicious! In a large bowl combine the first 6 ingredients, through the crackers, until nice and creamy. 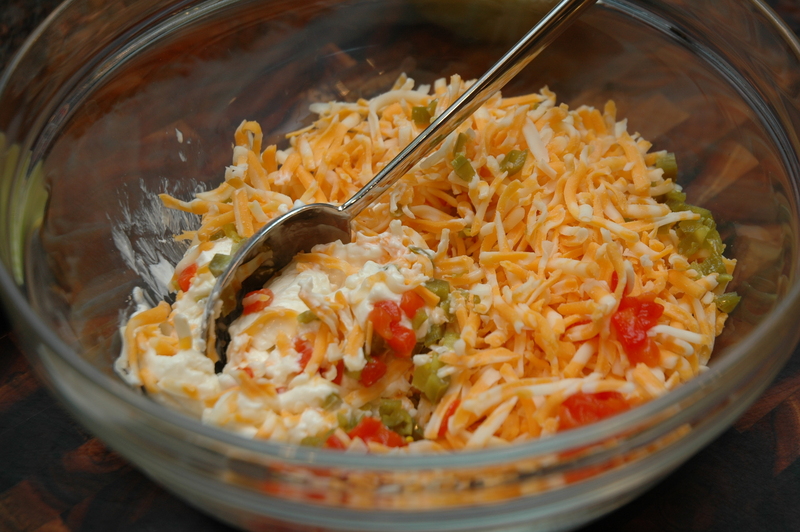 If it’s too thick for your liking, mix in a bit more mayonnaise until you reach the desired consistency. 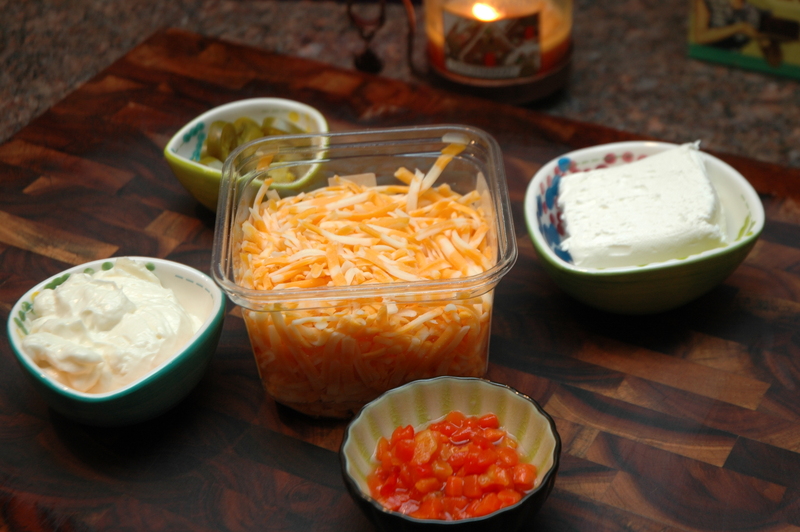 Top the crackers with the dip. Quarter the remaining jalapenos and garnish each cracker with a small piece of pepper.